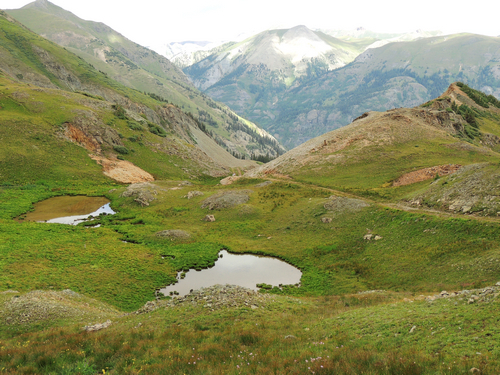 ​Alaska Basin is an easy Jeep trail that leaves the Animas Loop just west of Hurricane Pass and drops down into a beautiful basin. 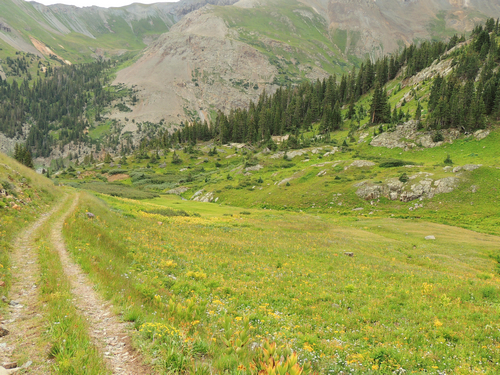 The first half of the trail is smooth and well maintained, leading to an overlook of "The Wall" on Poughkeepsie Gulch. This is as far as most people go because they do not even notice a lesser road turning off to the side. 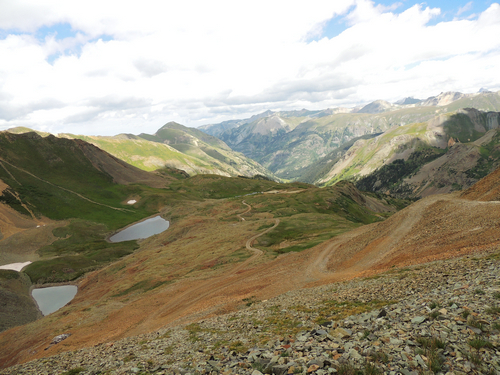 This photo shows the drop down into Alaska Basin with the overlook just beyond the end of the road. The lesser road is narrower and filled with grass. It is traveled, but not as much as the first half of the trail. 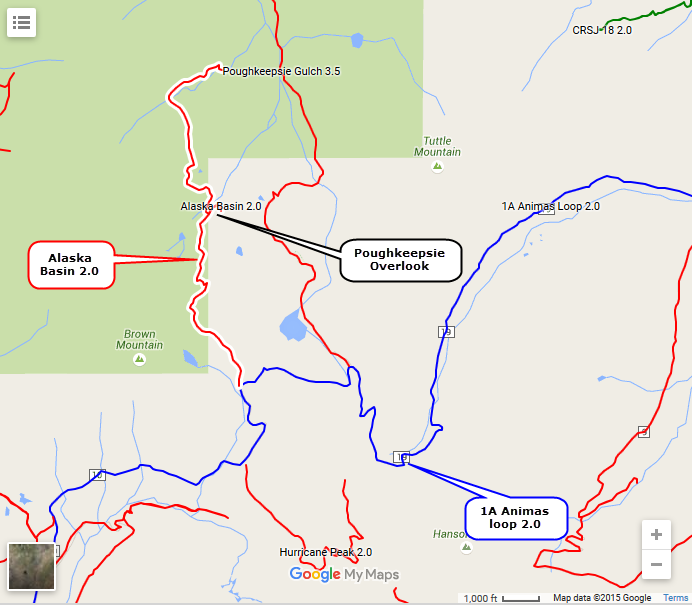 It soon drops down into a basin at the head of Silver Creek, then continues a bit farther to a dead end that one time continued to Poughkeepsie Gulch.